Taking care of your patients with specialist homecare courier services. LF&E provide confidential, temperature controlled direct to patient (DtP) specialist delivery services throughout the United Kingdom. With a modern fleet of unmarked vehicles, operated by highly trained and caring drivers, your patients’ homecare delivery satisfaction is guaranteed. LF&E have a flexible and agile infrastructure, ensuring prompt response to customer demand. With its network of regional locations, LF&E can provide guaranteed same day or pre-planned scheduled next day deliveries as standard. With over 8 years’ experience of working in partnership in developing and delivering DtP Homecare logistics, LF&E have significant experience in this specialist and complex area of homecare activity. We appreciate the challenges that the homecare support of different therapy areas may bring, including confidentiality, data protection, time-critical deliveries for specialist treatment protocols, patient mobility difficulties, and have developed our services, driver training and Standard Operating Procedures accordingly. LF&E adhere to Industry Regulation standards such as GDP (Good Distribution Practice). 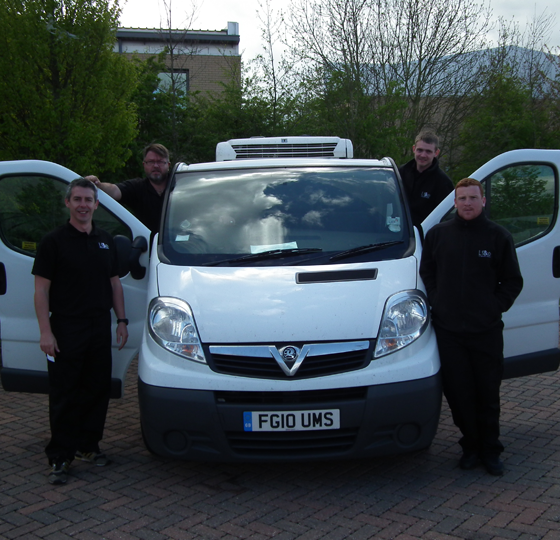 Our refrigerated and ambient transport service is designed and engineered to meet the complex and specialist needs of the Homecare industry. We provide a robust, flexible, reliable and fully auditable service to ensure products reach the correct patient at the right time, and within the product specific storage conditions throughout its journey. With over 30 years’ experience across its management team, LF&E have a wealth of knowledge and expertise in developing and delivering Direct to Patient services within this highly regulation compliant service sector. Our fleet of vehicles have dual load capabilities, and transportation compartments are calibrated on a pre-determined regular basis. All vehicles are fitted with on-board temperature monitoring systems to ensure conditions are continuously monitored by the driver. The LF&E Logistics Team also have the functionality to remotely monitor temperature within vehicles at all times. This enables preventative and corrective action to be taken in a timely manner in the event of an unforeseen temperature change during consignment transportation providing the assurance that all products arrive with the patient within optimum conditions, minimising safety risk to patients. To minimise the disruption to patient lives, and to maximise the potential benefits of homecare services, patients receive an email and/or text reminder to advise when their products will be delivered. They are kept fully informed in the event of any anticipated impact on their estimated delivery time. Realistic time-specific windows are allocated for each delivery, to ensure on time deliveries to patients thereby supporting therapy compliance, minimising the risk of failed deliveries and ensuring continued patient satisfaction with the homecare service. LF&E appreciate the importance of continued patient compliance with medication protocols, and the associated safety concerns that non-compliance or an interruption of therapy may bring. Working in partnership with our clients, LF&E have the flexibility to develop and comply with bespoke client Operating Procedures which define any product or customer specific requirements, all of which are underpinned by a robust suite of fully auditable Standard Operating Procedures. LF&E’s drivers are carefully recruited, to ensure that all personnel demonstrate the required personal qualities for Direct to Patient deliveries and operate in a professional, courteous and confidential manner at all times. Upon joining LF&E, drivers undertake a comprehensive induction programme, including confidentiality and data protection as standard, and further enhanced by service or product specific training to ensure all customer requirements are met at all times. Our team of drivers understand the importance of the products being delivered to the patient or authorised representative, confidentiality, how to handle specific goods and why patients need to receive their consignments in full, on time, and every time. LF&E drivers wear a uniform, carry photo identification, and are DBS checked to ensure the safety and welfare of patients and their families at all times. Our drivers are trained to escalate potential patient safety related concerns immediately and we work in partnership with our clients to ensure robust communication processes are in place. 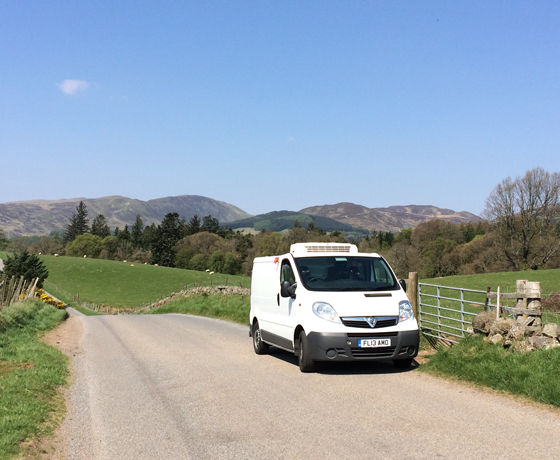 As the UK’s leader in Direct to Patient Homecare deliveries, LF&E provide a service to Northern England, Northern Ireland and Scotland including The Highlands. We offer delivery to these locations on a daily basis thereby providing a flexible customer focused homecare delivery service for patients and their families. In addition, we are able to facilitate temperature controlled and monitored ambient or refrigerated storage via our network of providers, all of whom comply with MHRA Regulations.